MensItaly is the answer to all of your 3 button suit needs and wishes. If you're a man who is motivated by fashion, we're the online store for you. 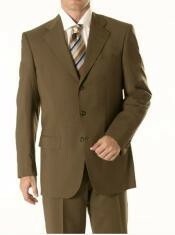 We offer our customers a vast assortment of 3 button suits. These suits are perfect for all different times of the year as well. If you want to buy lightweight 3 button suits that won't weigh you down and make you feel stuffy and hot, we have a plethora of first-rate choices available to you. 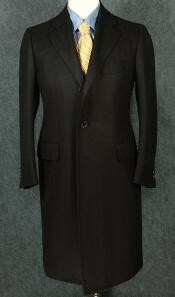 Our selection of light weight 3 button suits is truly impressive and large. People who are shopping for super lightweight 3 button suits can always count fully on MensItaly. That's how it will always be, too! Our lightweight 3 button suits are ideal for the summer months. They're optimal for warmer and milder days all throughout the year as well. If you want to look and feel fresh, there's no beating our super lightweight 3 button suits. Men who are sick and tired of feeling stuffy and excessively warm can appreciate our dapper and chic offerings. Our suits provide wearers' bodies with ample ventilation. They can keep you feeling energetic and lively all day and night long. That's definitely a big deal. 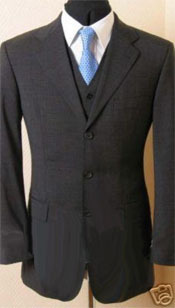 MensItaly offers lightweight designer seersucker suits in many diverse colors. Our shop makes a point to accommodate all preferences and tastes. If you're into the classics, you may want to explore our choices in black 3 button suits. 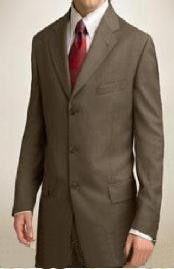 If you like exploring other choices in colors, we have great options in rich chocolate brown, navy blue, charcoal gray, medium gray, light beige and tan suits as well. We even have a good selection of fashionable pinstripe suits. 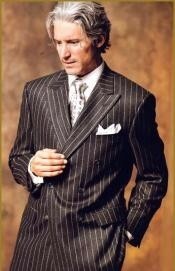 If you want to turn heads in a lightweight pinstripe getup, we can make it happen for you. We sell an array of top-tier suits here. 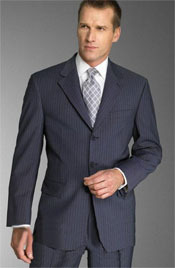 Our suits feature designs and cuts that are of the highest quality. If you want to look polished and ready to conquer the world, we can help you accomplish your goal and then some. 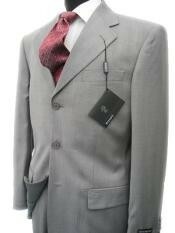 We sell suits that are made out of the finest fabrics straight from Italy. Our suits are suitable for all kinds of occasions. If you're searching for a lightweight suit that's appropriate for a nighttime social gathering such as a gala or dinner, we have many fantastic options that should be right up your alley. If you're on the lookout for a lightweight suit that can work well for a business conference or seminar during the daytime, we have just as many strong and solid choices waiting right here for you. Our suits are equipped with a variety of attractive and convenient features. Some of these are single breasts, double breasts, back pockets with buttons, double interior pockets, belt loops, interior pen pockets and notched collars. If you want to take a tour of the finest and most impressive suits around, we're more than ready to help you here at MensItaly. Our lightweight suits are reasonably priced, too. ID# EU09 New! Signature Platinum Stays Cool Inexpensive ~ Cheap ~ Discounted Reduced Price $1995 LIQUID Dark color black 150S WOOLTHE FINEST!